I can't always say NO when it comes to hydration range products. Hydration is essential for beautiful skin. Have you ever thought that hydration alone is not enough? Everyday our skin combats external aggressors like pollution, UV rays and air-conditioning that damage our skin, leaving it dry, dull and lifeless. Recently, I was introduced to a range of hydration product with PINK packaging which caught my attention. 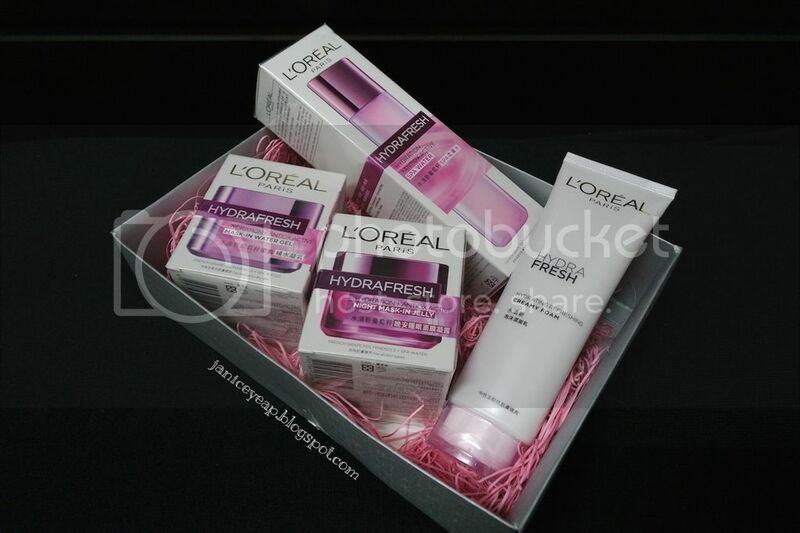 It is none other than L'Oreal Paris Hydrafresh. Hydrafresh is the 1st refreshing hydration range with antioxidant benefits. It is enriched with the finest French Grape Seed Extract, rich with antioxidants 50x more effective than Vitamin E and double Hyaluronic Acid for intensely hydrated, supple and radiant skin. I was given the whole Hydrafresh range of products to try from cleanser, toner, day cream and night cream. 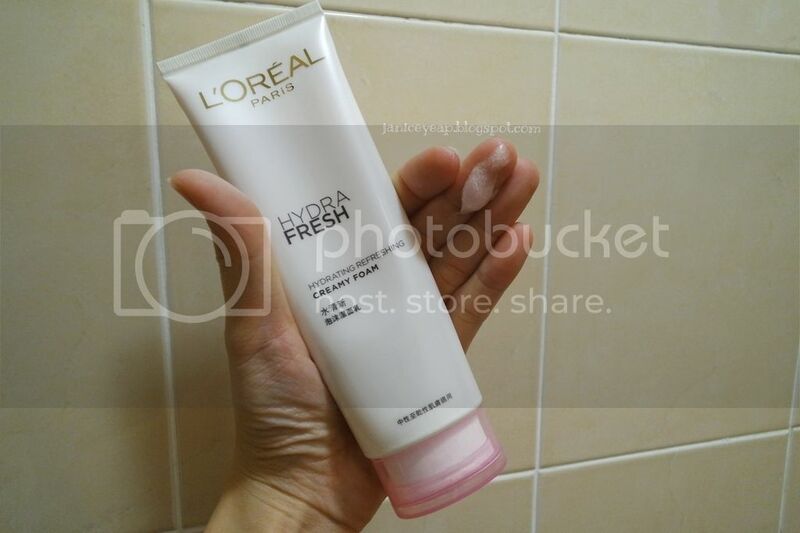 Without wasting time, let me start off with the cleanser - Hydrafresh Hydrating Refreshing Creamy Foam. This soft and rich milky creamy texture lathers abundantly when in contact with water, delivering a gentle sensation. It contains essential minerals for the skin and the refreshing creamy foam is able to thoroughly cleanse the makeup and dirt. Try to squeeze a small amount of the cleanser as it creates a lot of lather when in contact with water. Best of all, it cleanses my skin thoroughly and leaves my skin feeling refreshed without feeling of tightness. It also makes my skin soft and supple each time after wash.
Moving on to the next step which is the toner or lotion. 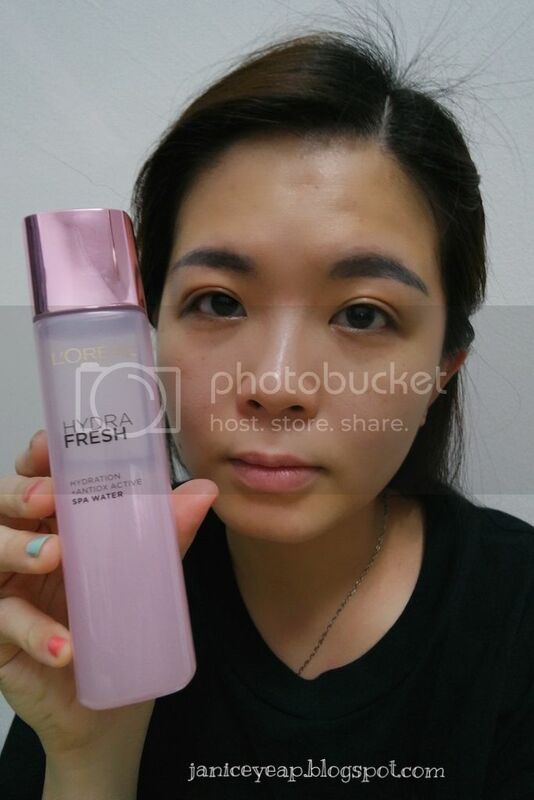 They do not call toner / lotion in this L'Oreal Hydrafresh range. 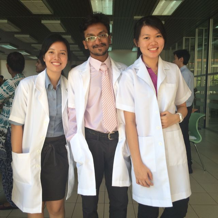 They rather called it Hydrafresh Hydration + Antiox Active Spa Water which i have no idea why. The name Spa Water is rather new to me. This Spa Water is naturally rich in minerals which helps to stimulate cell's vitality to strengthen skin barrier for an optimal hydration level. I think basically it works as a toner / lotion but it's not harsh to the skin. This slightly milky texture immediately makes my skin smoother and more supple. Each day I feel that my skin is soft and supple and the smell of the Spa Water smells great too. I use it whenever I feel my skin is dry as a softener to my skin. :P Do not forget to apply your neck area too. 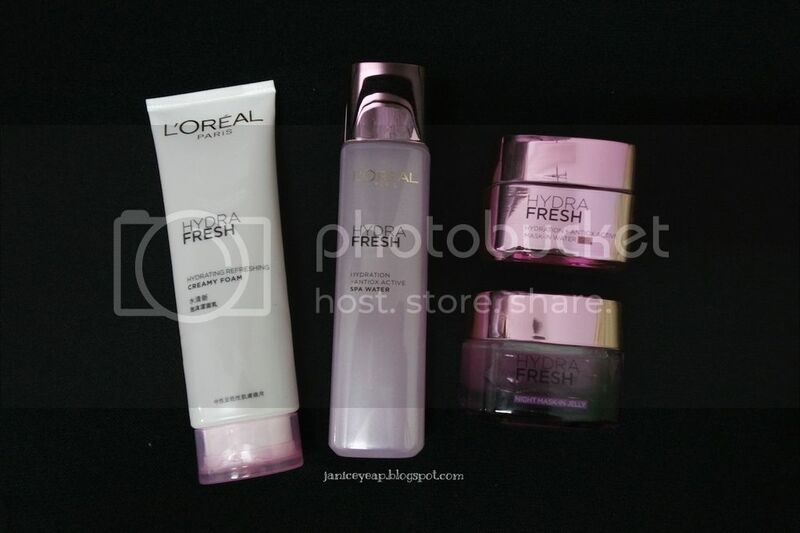 Since Hydrafresh comes with 2 types of cream which is Day Cream and Night Cream, so I will start off with the Day Cream. This Hydrafresh Hydration + Antiox Active Mask-In Water Gel has powerful French Grape polyphenols and double Hyaluronic Acid which helps the skin to stay fresh, bouncy and radiant. French Grape polyphenols is a powerful antioxidant that helps to neutralize free radicals caused by daily aggressions while double Hyaluronic Acid, combination of Hyaluronic Acid and Microencapsulated Hyaluronic Acid + Lipidure boost skin's hydration up to 4x which deliver dual moisturising effect for softer and smoother skin texture. Since I have mentioned that it is a day cream, it is advisable to apply during day time as this day time gel is not as rich as the night gel. 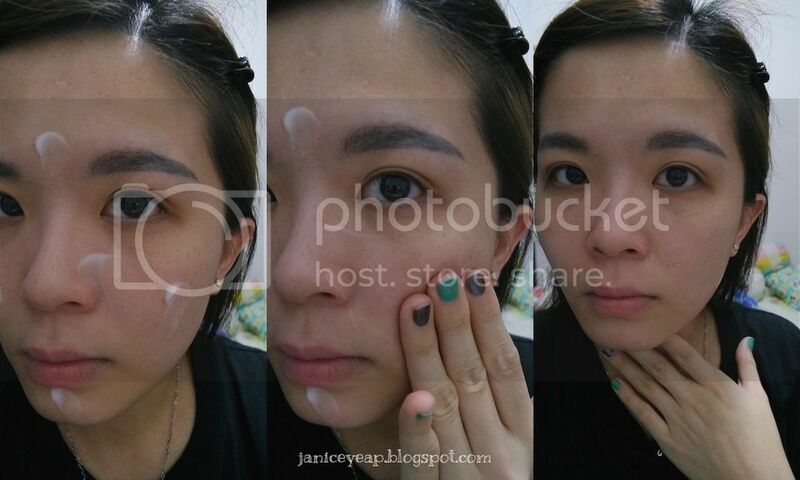 You do not want to look oily all day if you apply the night cream. 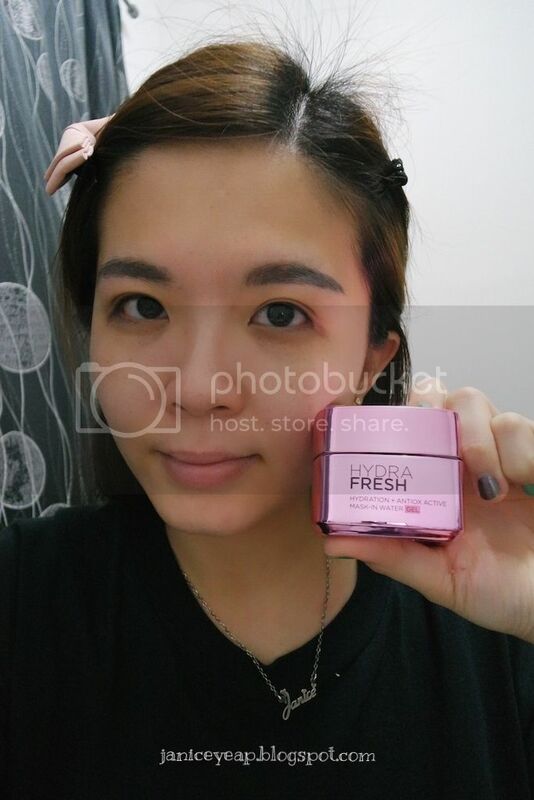 The last product that I am going to review would be the Hydrafresh Hydrafresh + Antiox Active Night Mask-In Jelly. This product would be used during night time after cleanser and spa water, the same step as the day time. 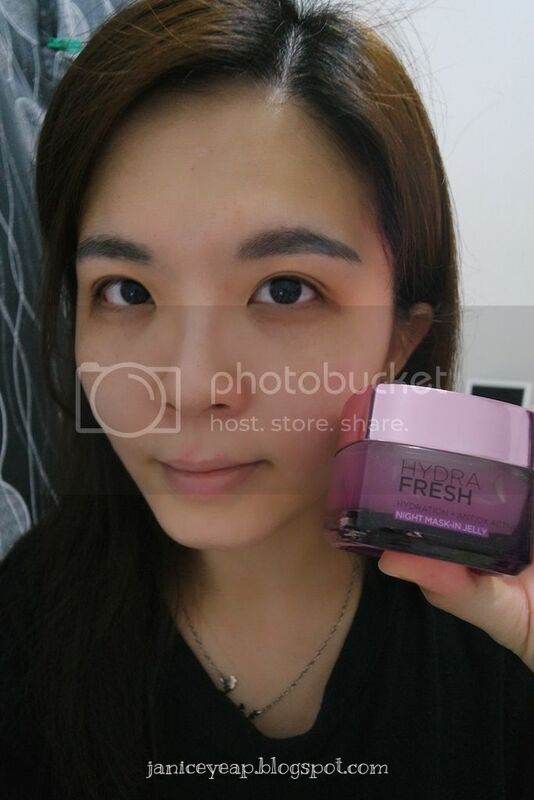 This Night Mask-In Jelly is different from the day mask-in gel as it has a bouncy jelly texture with almost transparent colour helps to deliver actives for mask-level efficacy. Normally night gel would be sticky and this Night Mask-In Jelly is not sticky and non-oily as compared to some of the moisturisers I have tried before previously. 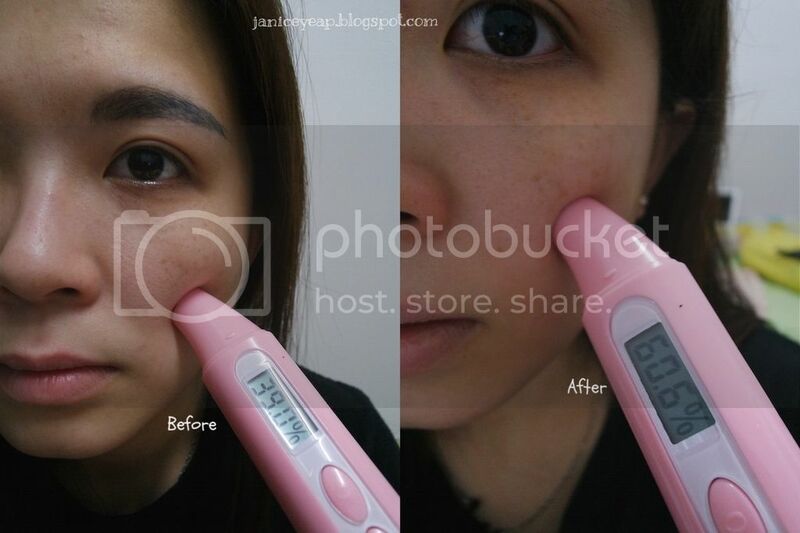 As compared with the hydration level, I noticed a huge difference on my skin as it increases from 39% to 60.6%. 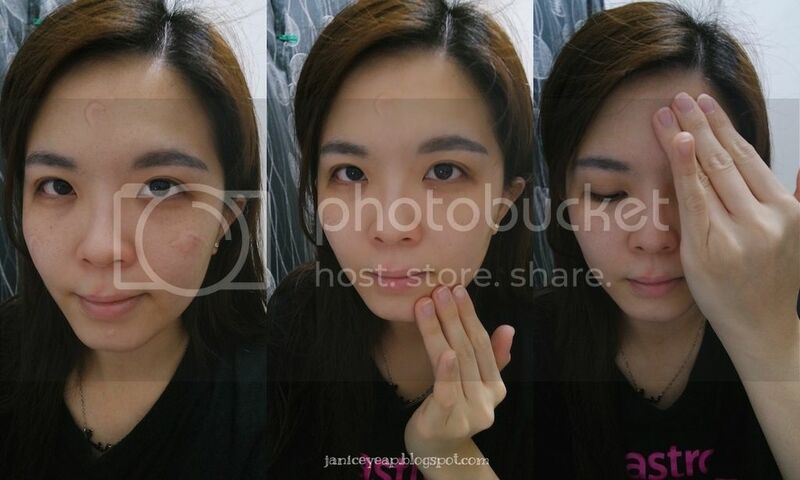 *jaw drop* Night Mask-in Jelly proves to have higher hydration level as compared with the day jelly since it works as a night mask. I noticed that my skin becomes brighter the next day when I woke up. 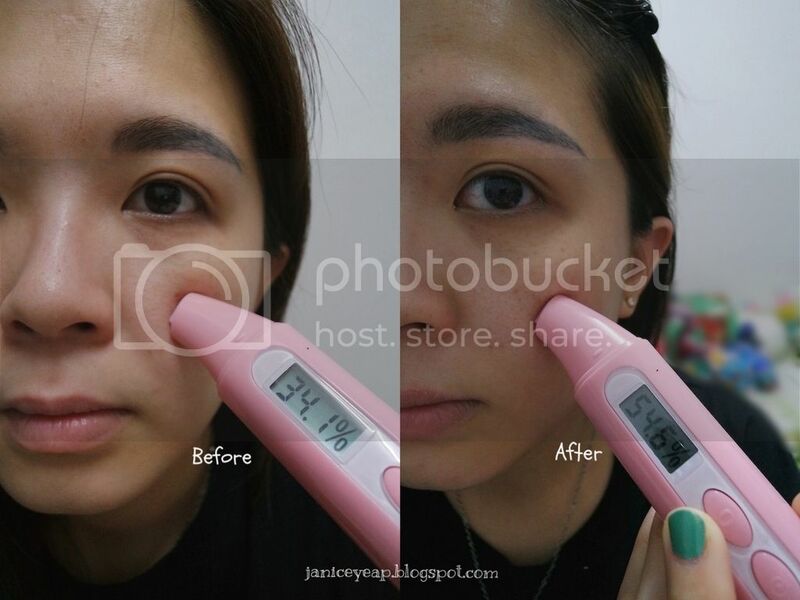 The hydration level on the skin is still maintained even though I had 8 hours of sleep in the air-conditioned room. Honestly speaking, I noticed that my skin has improved a lot especially on the hydration level. I don't feel dryness on my skin the next day since I sleep in air-conditioned room daily whenever I use this Hydrafresh range. The only drawback is that they should come with a bigger bottle of Spa Water since I have to use on both day and night when they have separated their moisturiser into day and night product.